How yummy do these sound? 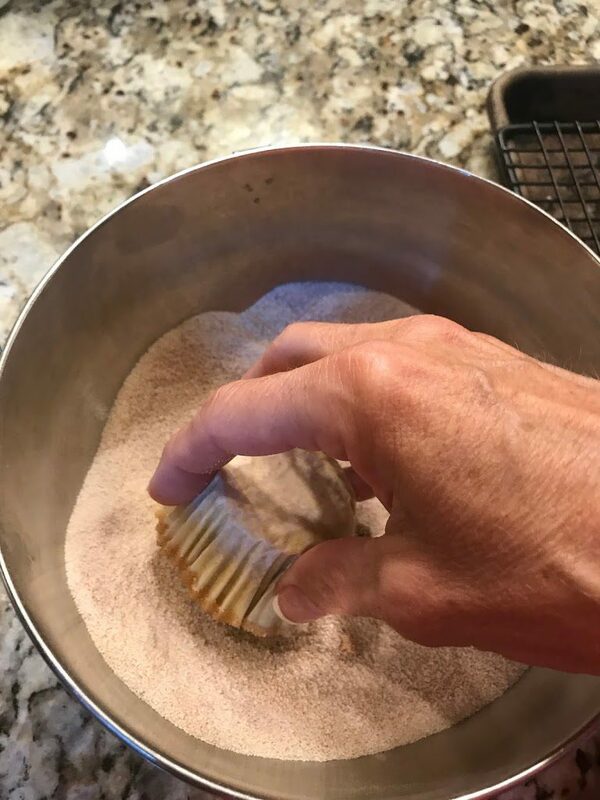 AND I can make them in advance, which always is a bonus for a tailgate party. 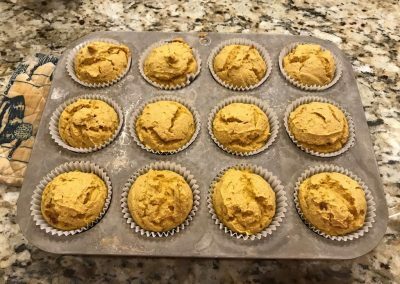 They are probably best when still warm, so you could reheat them a bit for added yumminess! 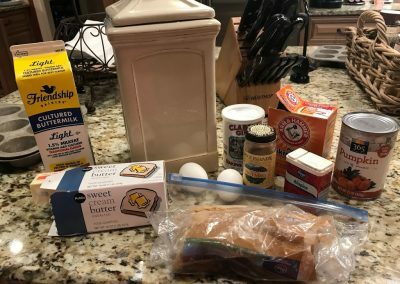 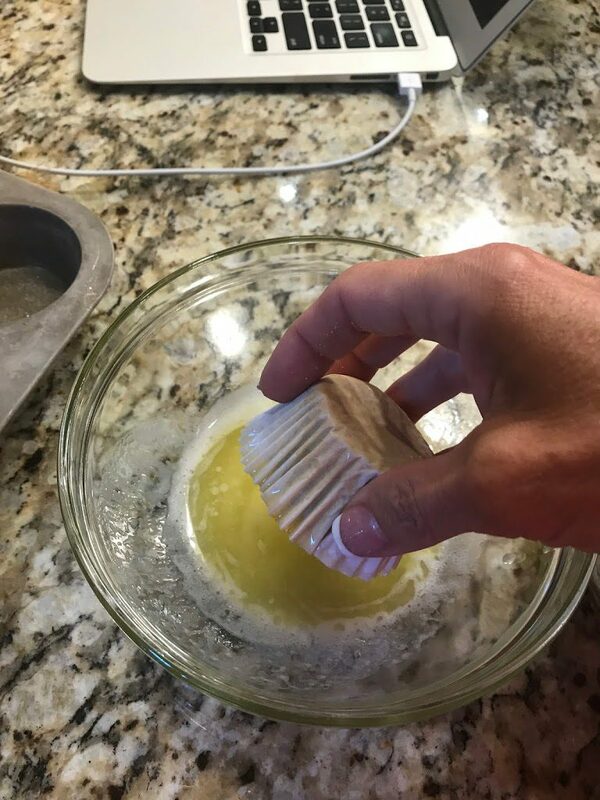 Preheat oven to 350 degrees F. Butter and flour 24 standard muffin cups (or use muffin liners). Make batter: In a medium bowl, whisk together flour, baking powder, baking soda, salt, nutmeg, and allspice. 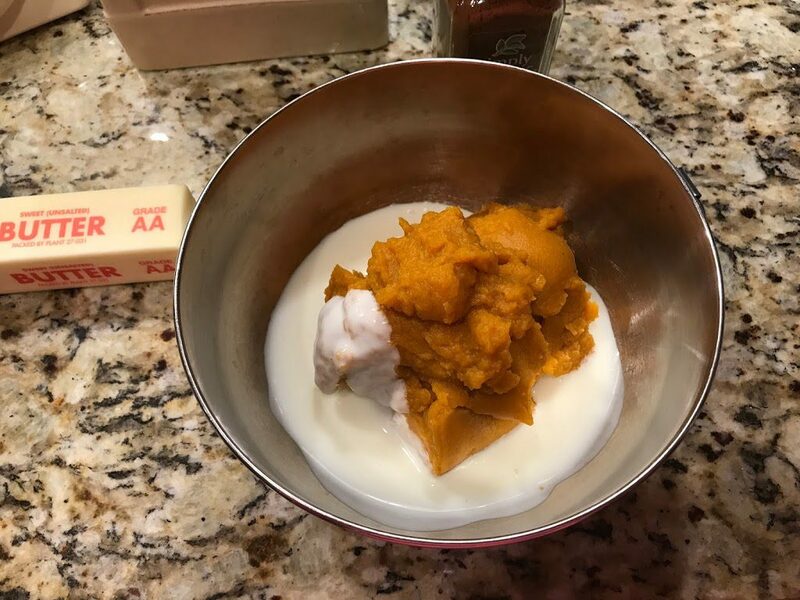 In a small bowl, whisk together buttermilk and pumpkin puree. 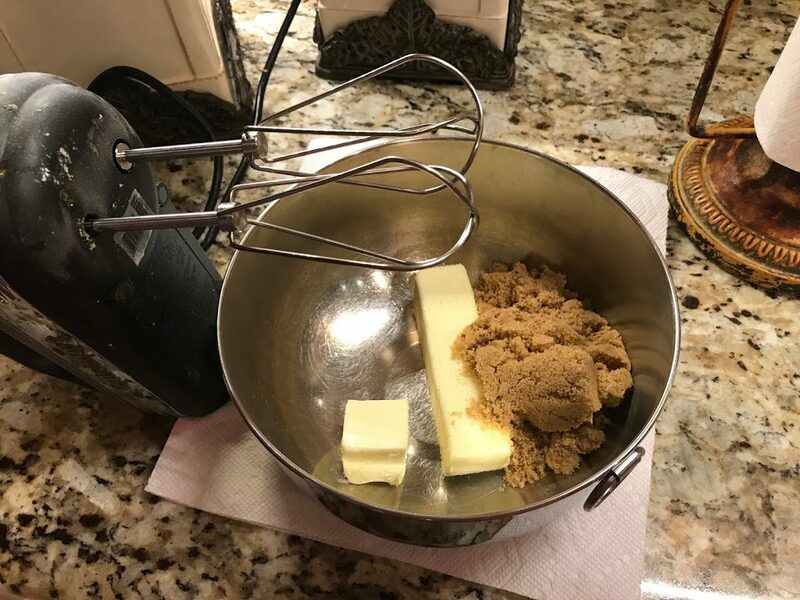 In a large bowl, using an electric mixer, beat butter and brown sugar until light and fluffy. 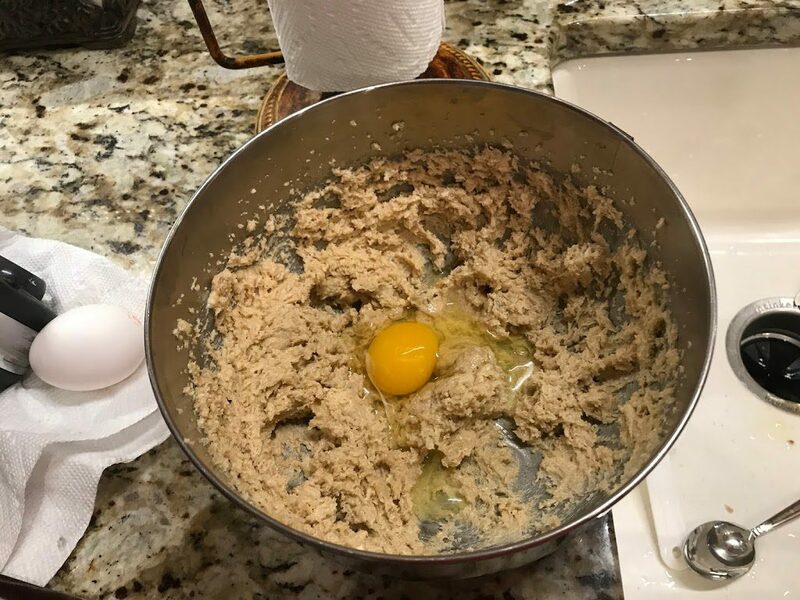 Beat in eggs, one at a time, scraping down bowl as needed. 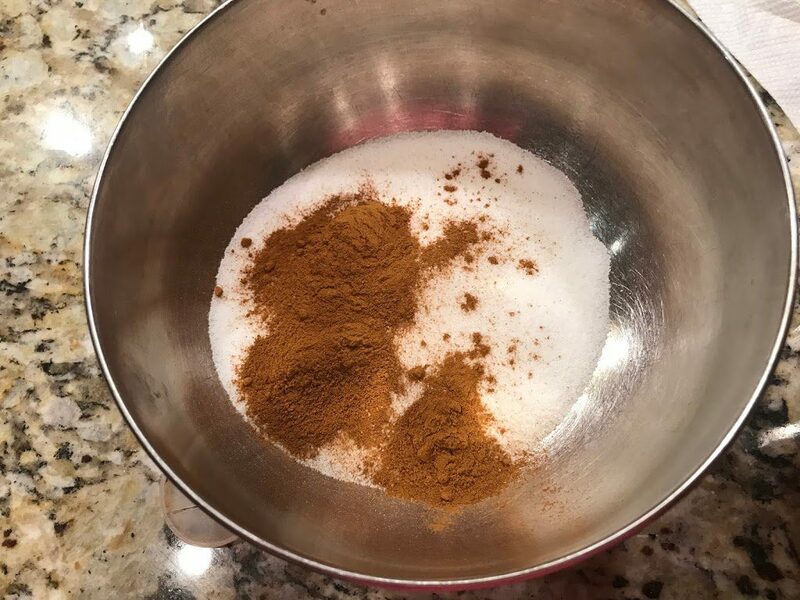 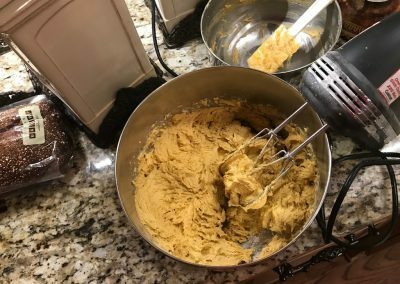 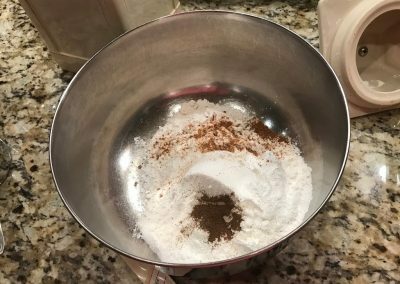 With mixer on low, add flour mixture in three additions, alternating with two additions pumpkin mixture, and beat to combine. 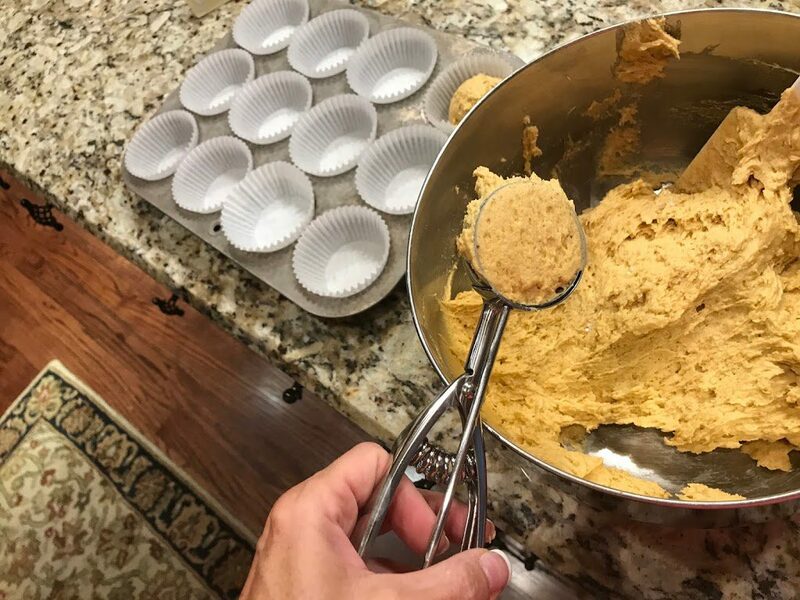 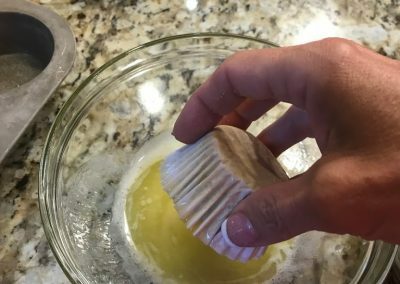 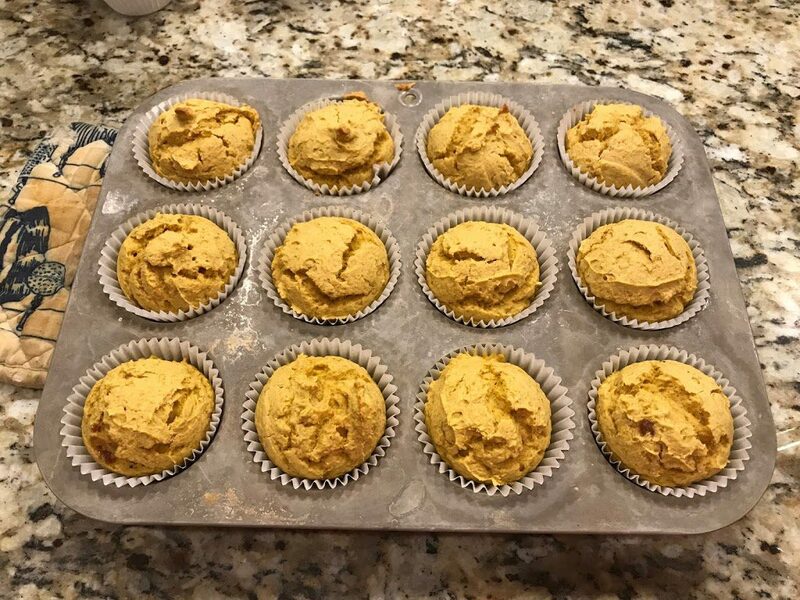 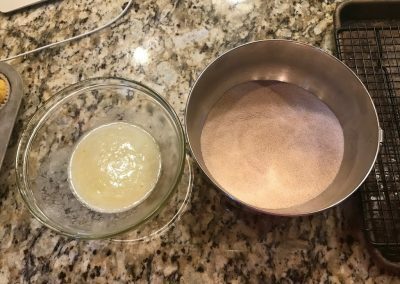 Spoon 1/3 cup batter into each muffin cup (I always use an ice cream scoop – it’s the perfect size for cupcake and muffin batter). 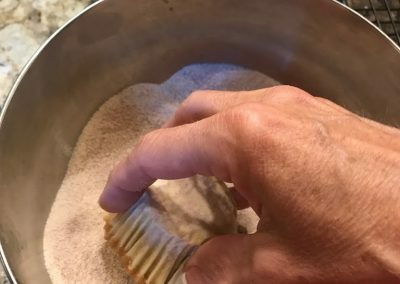 Bake eat 350 degrees F until a toothpick inserted in center of a muffin comes out clean, about 20-25 minutes. Meanwhile, in a medium bowl, combine granulated sugar and cinnamon. 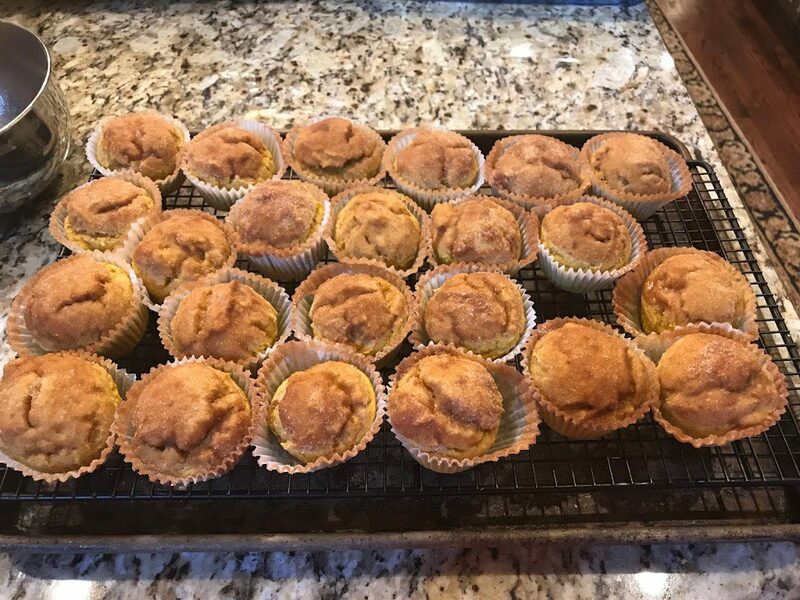 Let muffins cool 10 minutes in pan on a wire rack. 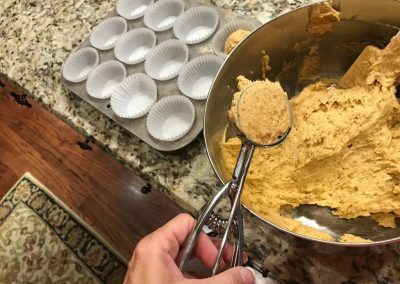 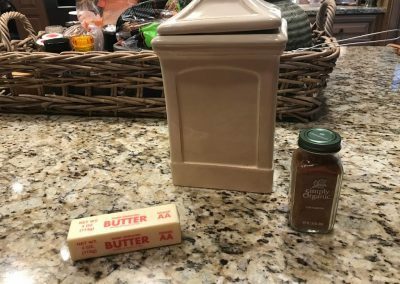 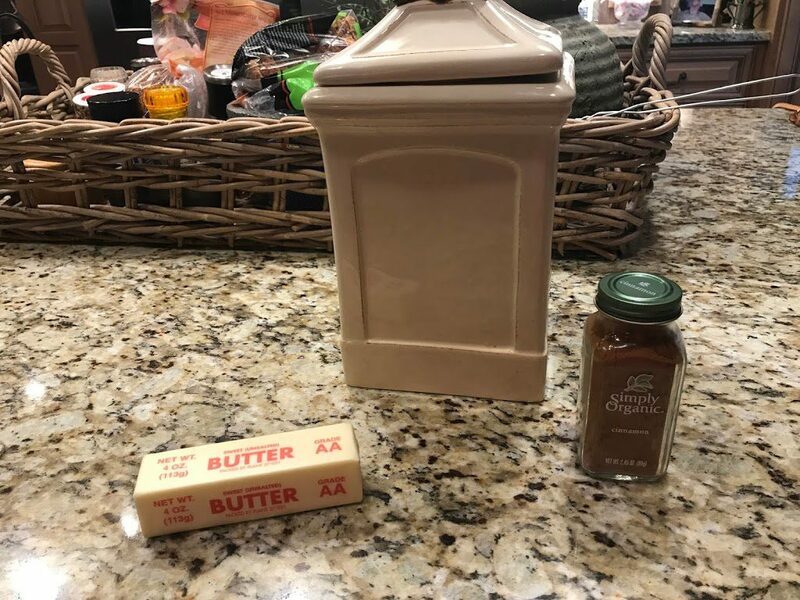 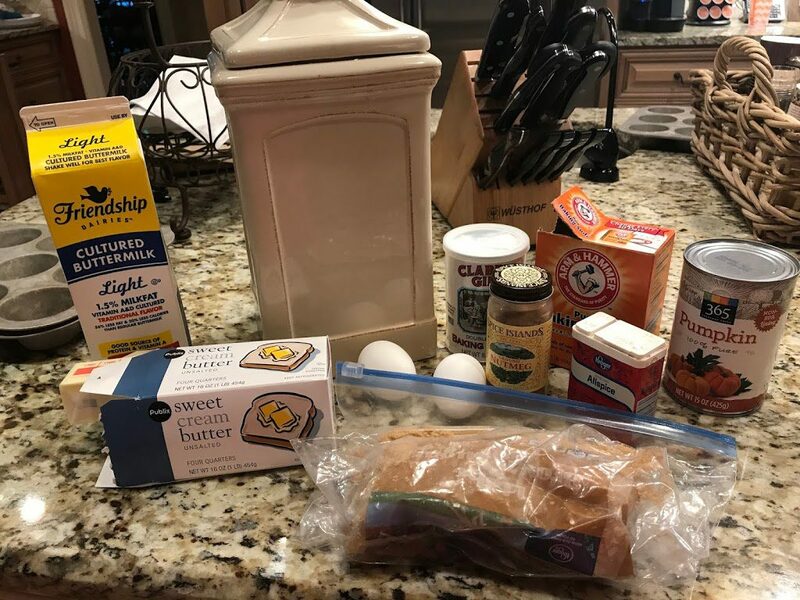 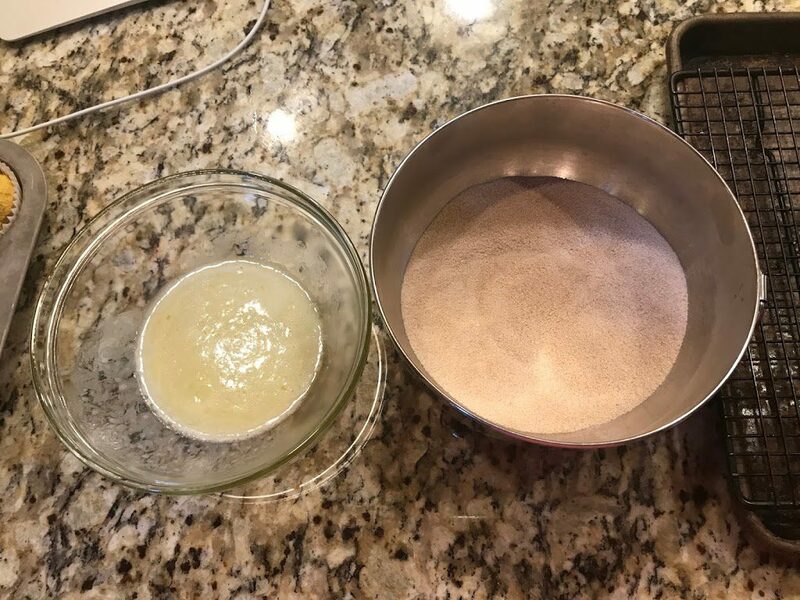 Working with one at a time, remove muffins from pan, dunk all tops in the melted butter, then toss to coat in sugar mixture. 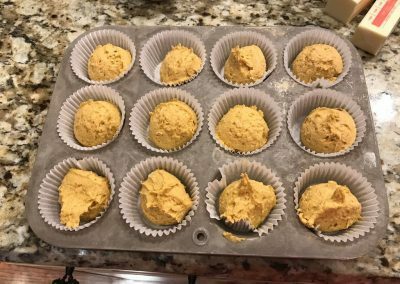 Serve immediately or place in an airtight container to serve later. 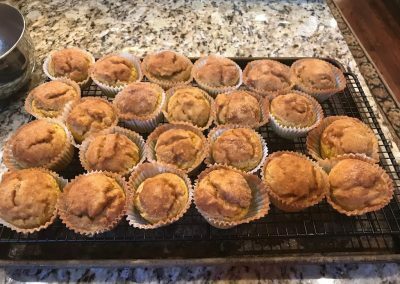 Let muffins cool completely on a wire rack. 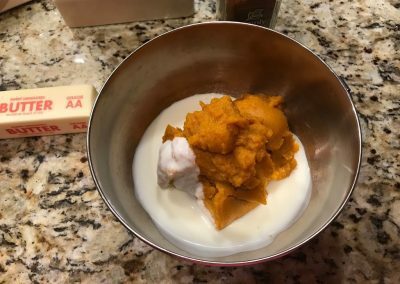 Serve immediately or place in an airtight container to serve later.